We're announcing today Bessemer's investment in Wikia, formerly known as Wikicities. 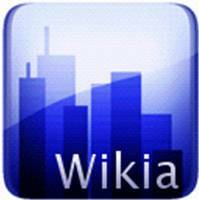 Wikia, started by Wikipedia founder Jimmy Wales and Wikimedia Foundation director Angela Beesley, is an ad-supported, open source platform for community-based wikis, with (freely licensed) content that falls outside the scope of an encyclopedia. With over 1,000 Wikia already created in 35 languages, content and registered user growth are tracking right along the same growth curve as Wikia's cousin Wikipedia. Here is the full story. In related news, we also led a $15 million investment round in Zopa, a P2P lending site with much better economics than the banks and credit cards for both lenders and borrowers. In just its first year, Zopa has registered 55,000 members in its network.